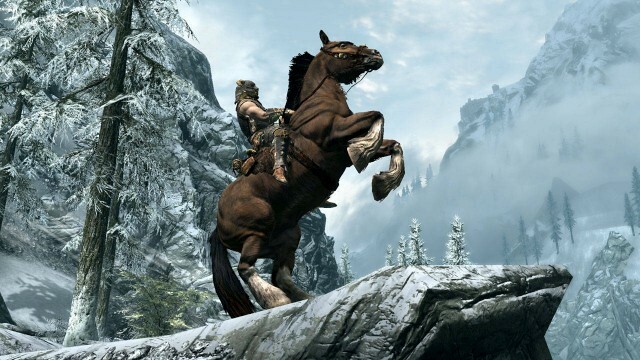 Bethesda may be overhauling The Elder Scrolls V: Skyrim for current-gen consoles and PC later this year, but don’t expect to lay hands on the next installment in the beloved RPG series anytime soon. First spotted by Digital Spy, here’s what the studio’s Chief Marketing Executive had to say on the matter. 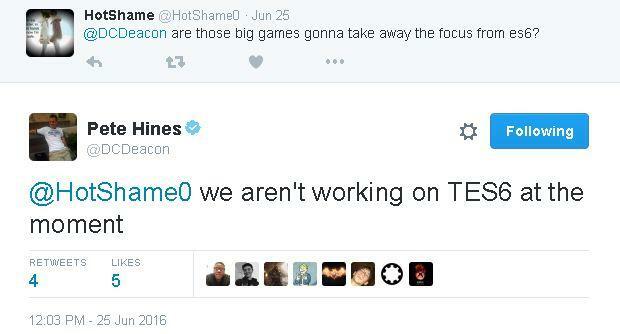 Soon after rolling out future DLC plans for Fallout 4 – not to mention word of VR support for the HTC Vive in 2017 – Bethesda also confirmed that it was currently working on two as-yet-unannounced titles that are seemingly of a similar scale and scope to Skyrim. Based on the developer’s decorated track record in the role-playing genre, we’re inclined to believe that that pair will once again draw on Bethesda’s expertise in the genre. So, there you have it; at least for the time being, The Elder Scrolls VI is little more than a pixelated nugget tacked on to the white board at Bethesda towers. The Elder Scrolls V: Skyrim, on the other hand, will take flight on PS4, Xbox One and PC on October 28.